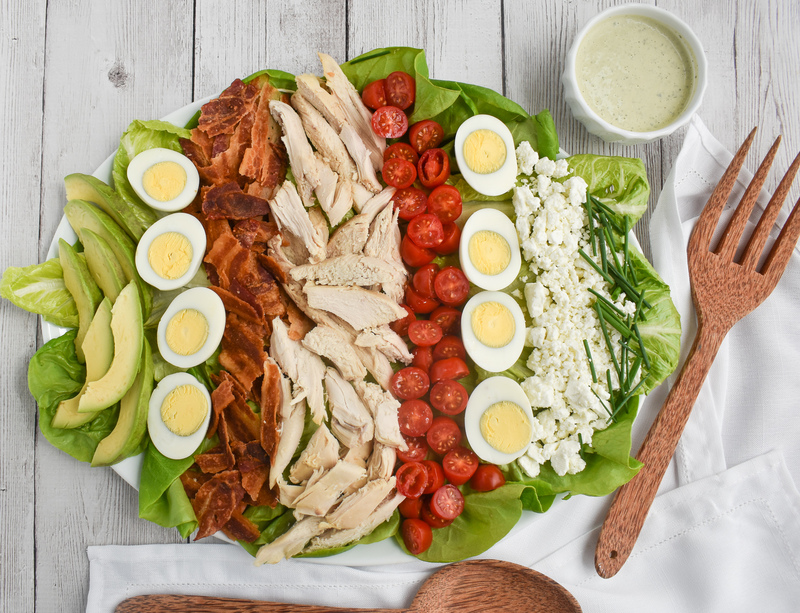 Cobb Salad is my new obsession. It’s just the perfect combination of fresh vegetables and tasty protein topped with a fabulous dressing. Light, healthy, as well as satisfying. 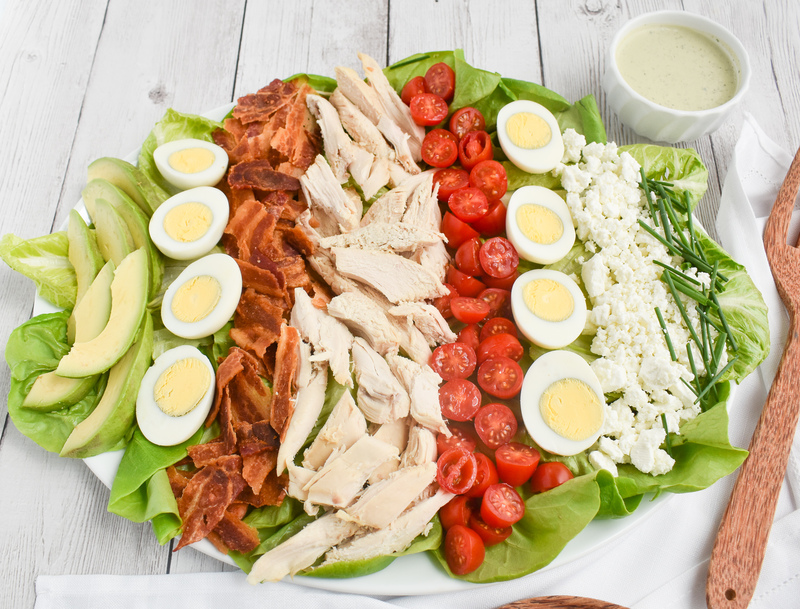 This low-FODMAP Cobb Salad is the best I have had. You can modify it for any protein you like (chicken, turkey, tuna), your favorite cheese (goat, cheddar, mozzarella), and pick your low-FODMAP dressing (low-FODMAP Ranch, low-FODMAP Italian, low-FODMAP Green Goddess). So easy and so good. 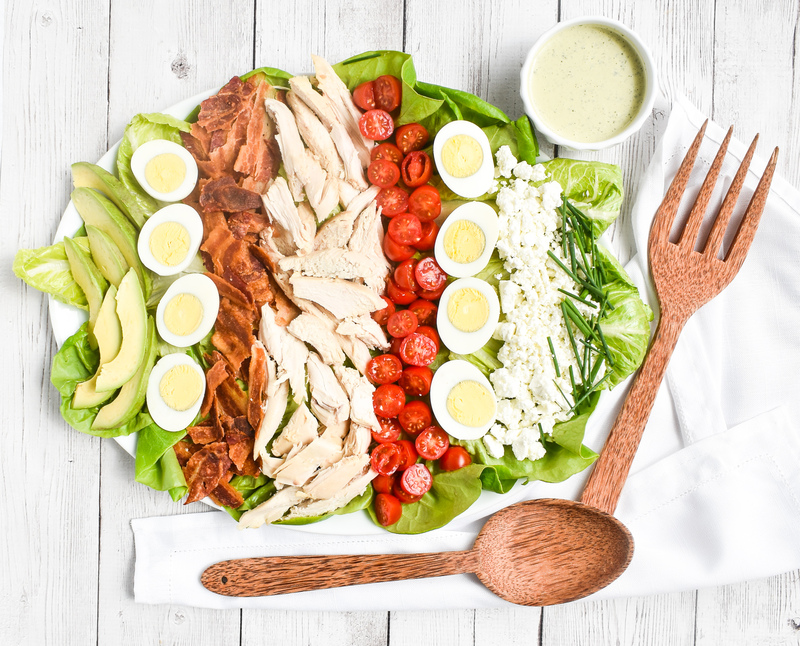 You may also love my low-FODMAP Southwest Salad, low-FODMAP Strawberry Poppyseed Salad and my low-FODMAP Grilled Romaine. Or check out over 200 more low-FODMAP recipes on the blog. IBS-friendly! I used my low-FODMAP Copycat Panera Green Goddess Salad Dressing…so good. Delicious low-FODMAP beef jerky made from a short-list of ingredients. Natural heat from cayenne and red pepper. 18 tasty grams of protein and 150 calories per certified low-FODMAP serving! Delicious low-FODMAP beef jerky made from a short-list of ingredients. Natural tanginess from tomatoes. 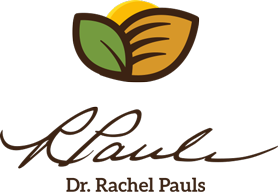 18 tasty grams of protein and 150 calories per certified low-FODMAP serving! Delicious low-FODMAP beef jerky made from a short-list of ingredients. 18 tasty grams of protein and 150 calories per certified low-FODMAP serving! Oats, raisins and cinnamon in a chewy, tasty sunflower seed core. A low-FODMAP energy bar that is a healthy source of fiber, antioxidants and protein. Low-FODMAP bliss! Dark chocolate in a chewy, tasty almond core. A low-FODMAP energy bar that is a healthy source of fiber, antioxidants and protein. Low-FODMAP delight! A chewy, tasty peanut core with notes of pure maple syrup. A low-FODMAP energy bar that is a healthy source of fiber, antioxidants and protein. Low-FODMAP pleasure! Stay up-to-date on all the news and special offers that will make you happy. ©2019 Rachel Pauls Food. All Rights Reserved. Thank you for signing up! We'll keep you smiling with the latest news and special offers delivered right to your inbox. Be happy. Be healthy. 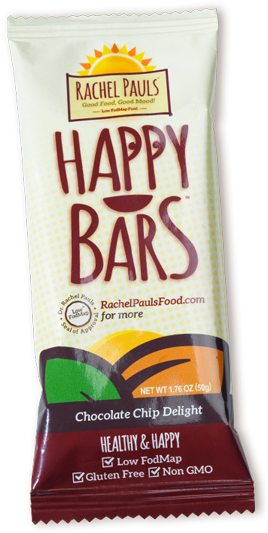 Order your Happy Bars today!